Sofia2 new release 2.17.0 is now available. This release has also been deployed in the experimentation platform Sofia2 CloudLab. 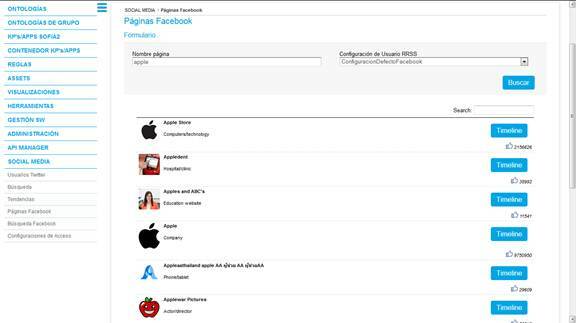 Added a video showing the main application areas of the platform (available at Sofia2 Youtube Channel). Also included the Portuguese version (thanks Susana). 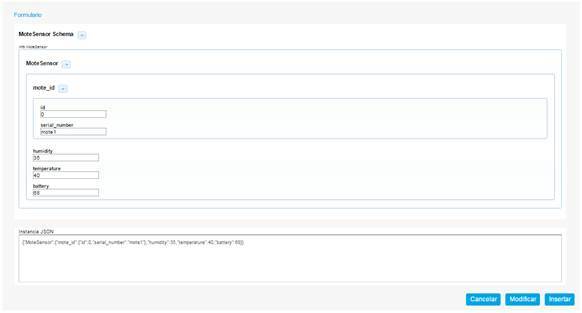 This tool allows to perform CRUD (Create, Read, Update, Delete) of ontology instances from Sofia2 console. The tool is accessed from the Ontology menu>CRUD Ontologies. 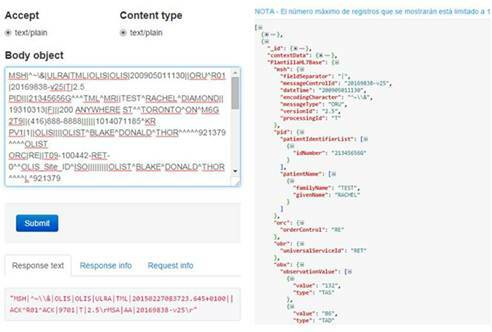 Once the ontology has been selected, queries can be launched and the different instances will be returned on a tabular format. From here I can create a new record or edit/delete an existing one in a form generated from the schema ontology. This feature demonstrates how Sofia2 can also be used for high-load environments for typical management applications where entities modeled via web, the security and rules definition and multilingual access reduce development time significantly. 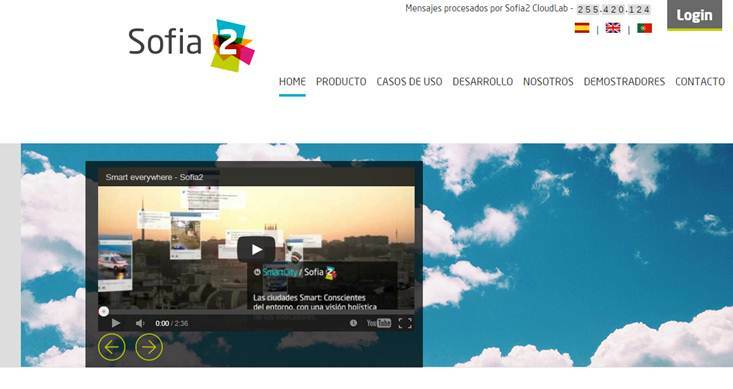 Sofia2 is an IoT platform that simplifies the integration of any “Thing”. These “Things” can be from devices to smartphones, corporative systems and, of course, social networks, which, nowadays, are one of the most important information sources. 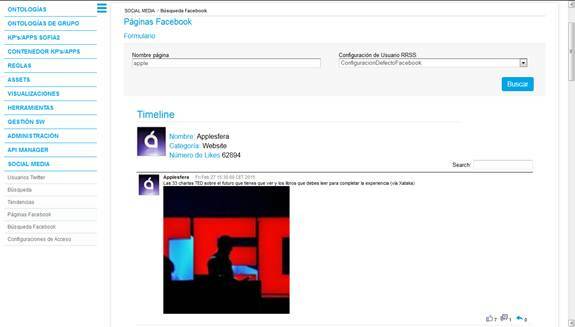 The search results can be stored on a new ontology or on an existing one. 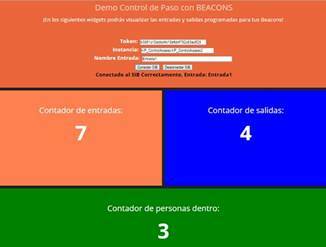 In this new version we have developed a demo that shows the platform capabilities to integrate and manage Beacons. The demo is a basic step control that detects the entry or exit of people. The information is sent to a mobile App. The demo also includes the Android App which sends the data to Sofia2 and a web dashboard that displays the entries or exits in real time. 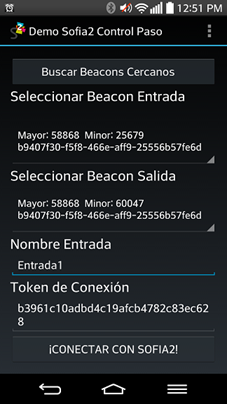 The Android App also provides features to search nearby Beacons and assign them the initial or final part of the entry. Once the entrance has been selected in the Dashboard, entries and exits from the people inside are displayed. In this release has been published a clinicar standard HL7 Gateway Adapter, specifically for ORU messages(Observation Result Unsolicited). The Gateway exposes through a REST Service in the SIB, an operation for sending measures with this standard. The standard is translated into JSON and SSAP protocol. Thanks to this transformation, the message can be stored in a Sofia2 Ontology (HL7ORU01) and the expected ACK is returned. The information stored is decomposed allowing searches by different criteria. We have simplified the SW assignment model and the configuration of applications that use the infrastructure of KP Model. It has also been updated the KP Model infrastructure (download). Updated the Sofia2 Community stable version to 2.17. Users of this version can upgrade to the stable one. To contact support can write to this mail address supportsofia2. In relation to the Smart Campus UC3M 2015 event we are developing a set of tutorials for developing Apps with App Inventor. Also, on Friday March 6, two people from Sofia2 Team (Laura and Guille) will conduct a workshop, at Universidad Carlos III, to show how easy is to develop mobile applications with App Inventor and Sofia2. ← Sofia2 y Google App Inventor: Primeros Pasos y Configuración.